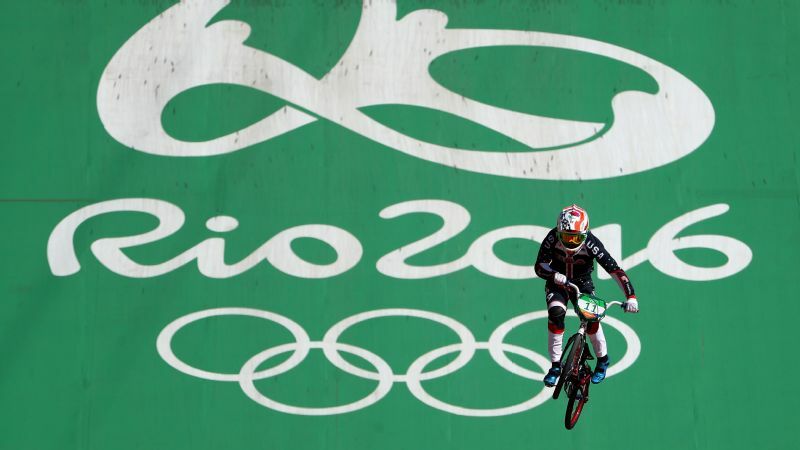 Alise Post grabbed the silver medal in BMX racing on Friday in Rio that had alluded her since London, where a crash in the semifinals ended her 2012 Olympic bid. 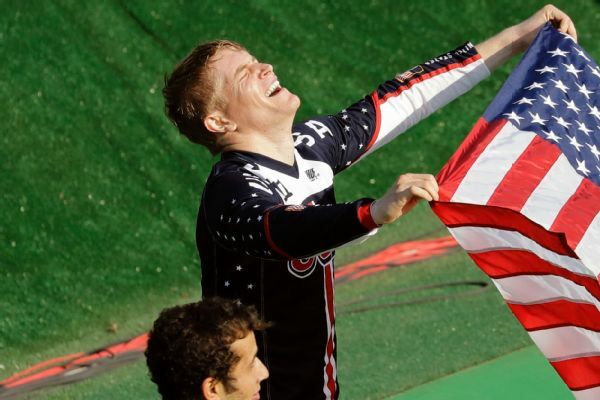 For the past four years, U.S. BMX racer Alise Post has stared at the Olympic silver medal that hangs in the trophy room she shares with her fiancé, Sam Willoughby. It has inspired her. It has motivated her. Thing is, it doesn't belong to her. 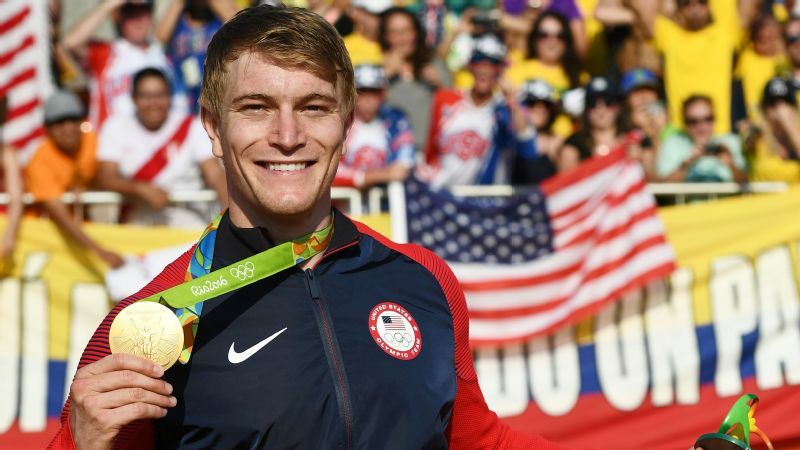 "I've looked at that medal every day," Post, 25, said of Willoughby's silver medal in BMX racing from the London Olympics, where he represented his home country of Australia. "I wanted one of my own." Friday afternoon, Post got her silver medal, in the best finish by an American woman in Olympic BMX history. "I was going for a gold medal today, and I was in contention," Post said after the medal ceremony. "But I'm not disappointed. I'm proud of myself and my effort. BMX is so hard. One 30-second lap can dictate a lifetime of hard work. Today I got across the line and realized, 'Wow, that's over and I have an Olympic medal.' That means a lot. Wearing this heavy thing is amazing." Before leaving for the track Friday morning, Post wrote in her journal that no matter what happened on the track, she felt like she had already won. She had made it to Rio with the help of so many people, from coaches and doctors to friends, family and Sam. "I'm proud of everybody who's helped me, all the people back home," she said. "I know they're proud. I won before I got here." In London, Post crashed in her final semifinal race and had to be helped off the track. Later that day, she watched as Willoughby, an Olympic rookie at the time, took silver and celebrated with his teammates. This time around, it was Willoughby who watched before the gate dropped on the men's final as Post matched his London finish. "I think I had a bigger heart attack watching Sam race than I did racing my own," Post said. Willoughby and Post plan to marry in April next year. Despite winning all three of his semifinal races, Willoughby finished a disappointing seventh. "It was the opposite ending as last time," Post said. "I was so proud of him then. And today he told me he was very proud of me and to enjoy my success. Of course, I wanted him to get a medal. But he gave a gold-medal effort." In a sport where consistency is all but nonexistent, defending Olympic gold-medalist Mariana Pajon of Colombia won all three of her heat races, and her second straight gold medal with a win in the final. Post was hot on her heels and waiting to capitalize if Pajon made a mistake, but that window never opened. It was an unbelievable performance and one celebrated by a huge contingent of Colombians in the stands. "This is better than anything," Pajon said. "It's so beautiful. Already to win two golds is crazy. I felt like I was at home with so many Colombian fans. It filled me with energy." Draped in an American flag in the finish area, Post couldn't fight back the tears, at first for herself and then for Willoughby and all she had been through in the past eight years. As she does at every race, Post competed with the words "Cheryl strong" written on the front hub of her bike in memory of her mother, Cheryl, who died in January of 2014. In Rio, her helmet design included ribbons and a rose, her mom's favorite flower and Post's middle name. "I know she's proud of me," Post said. "I had her with me all day, too."